Join me this Friday (Tonight) at 9PM as I welcome Bernie delegate Garleen St.Germain and Komokoda activist Dahoud Andre for a discussion of Haitians and Haitian issues at the Democratic National Convention in Philadelphia and related protests. 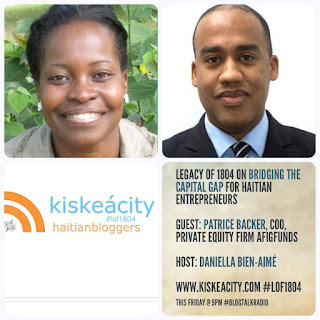 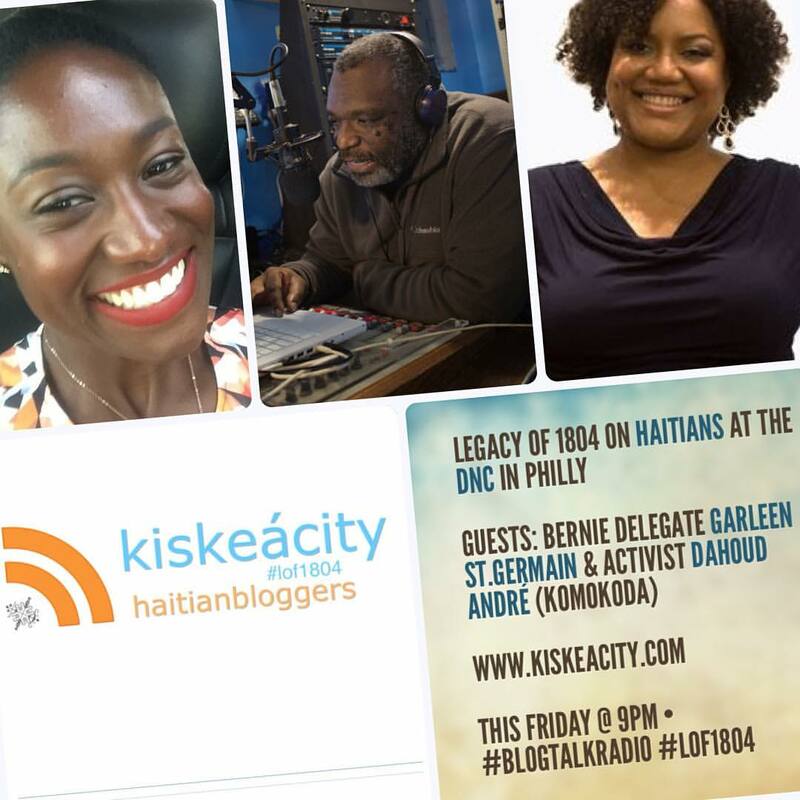 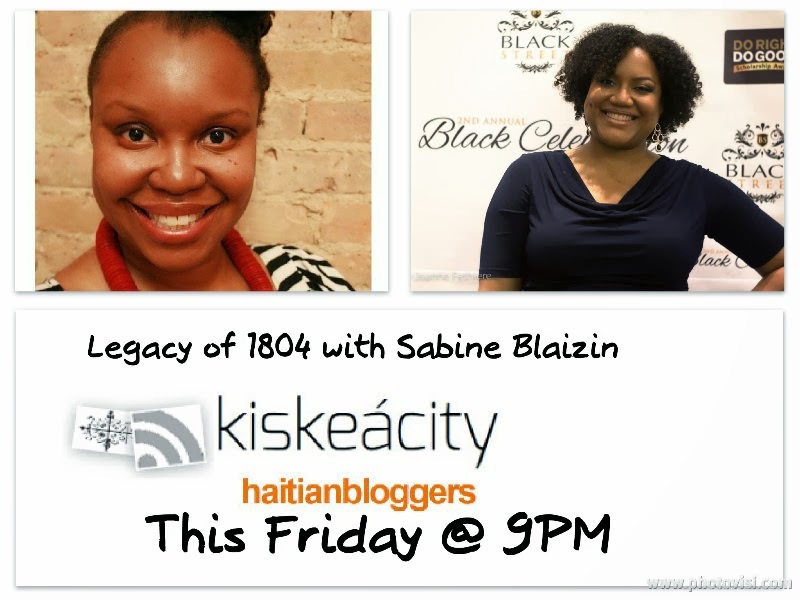 Listen Live or archived online at http://www.blogtalkradio.com/pancaribbean/2016/07/30/legacy-of-1804-on-haitians-at-the-dnc-in-philly-lof1804. 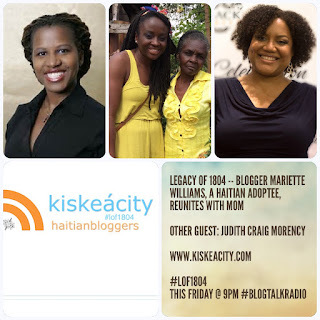 You can also listen and participate on the phone at (714) 242-6119.